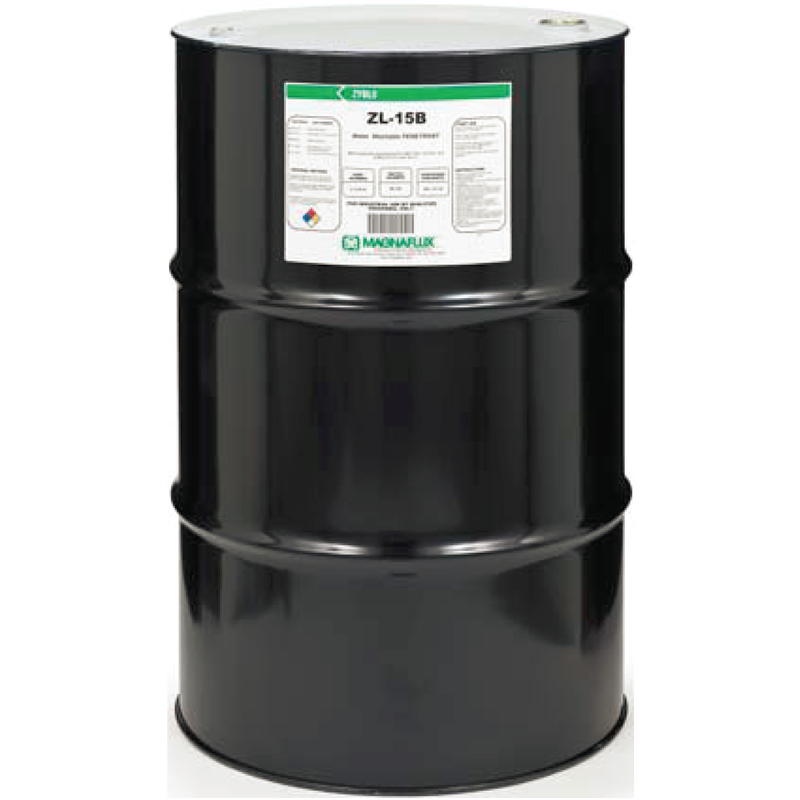 ZL-15B water washable penetrant is a low-sensitivity penetrant that features excellent washability. It is used to find open surface flaws such as cracks and porosity in seams, laps, cold shuts, and laminations on castings, forgings, extrusions, and parts with rough surfaces. It can be developed with ZP-4B dry powder developer, with ZP-5B water suspendible developer in an agitated tank or with ZP-9F non-aqueous developer. With a UV-A light source, like the EV6000, indications will appear as a bright green-yellow fluorescence. ZL-15B is listed on the QPL SAE AMS 2644 Qualified Product List.